PEACEBUILDING – THE PRIORITY OF MY COMMUNITY! 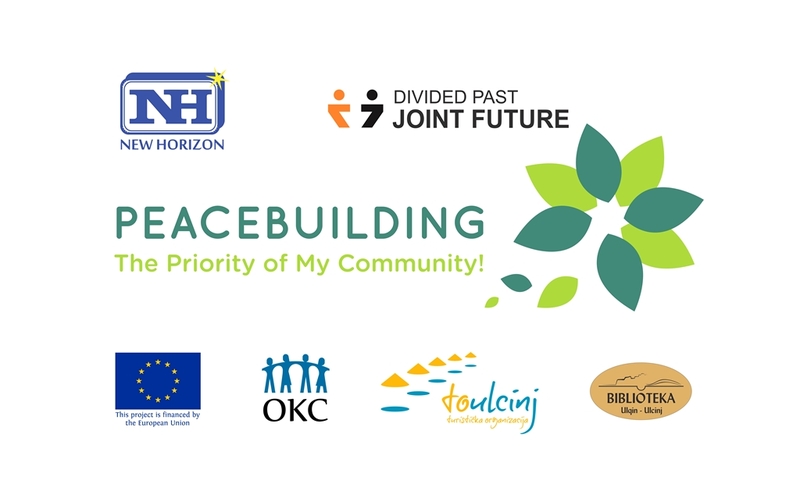 NGO New Horizon, in partnership with the Ulcinj Tourist Organization and the City Library, announce PUBLIC CALL for participation in the project “PEACEBUILDING – PRIORITY OF MY COMMUNITY”. The main objective of the project is to strengthen intercultural dialogue and promote peace and understanding among young people in Ulcinj and beyond. PEACEBUILDING SCHOOL – a special cycle of workshops which will be organized at the Youth Corner at the City Library. This program will help participants to develop competencies for conflict resolution, promoting mutual recognition, building peace and advancing local community development. YOUTH PEACE TOUR – Participants of the project will also participate in study visits which will be organized in public, cultural, educational and religious institutions as well as in cultural heritage objects in different locations in Montenegro. PEACEBUILDING SHORT FILM – The youth, project participants, will engage in creating a short film material that promotes peace, tolerance and intercultural dialogue. PRESS CONFERENCE – Youth leaders at the end of the project will hold a press conference, where they will reveal the knowledge and skills gained during this engagement. Training sessions will be organized once a week (on Friday afternoons) at the YOUTH CORNER, at the City Library. After the end of the workshops, participants who have successfully attended the training program will be awarded with certificates for the gained knowledge and experience. If you are interested in following this project, please complete the following form by clearly answering all the questions. Participants should be young people aged 16-22 years. The deadline for application is until February 14th , 2019.